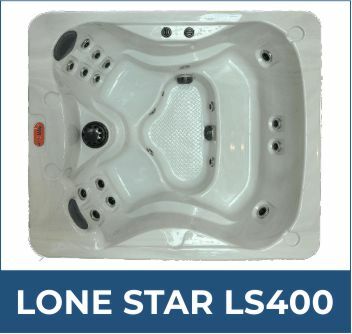 Slightly larger than the LS300, the 275 gallon LS400’s features fit perfectly into the average user’s lifestyle. 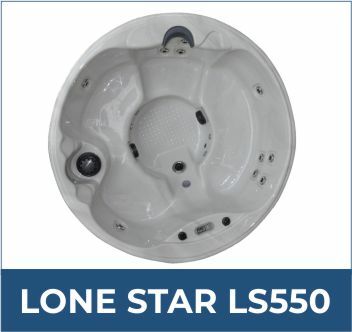 Click for more information. 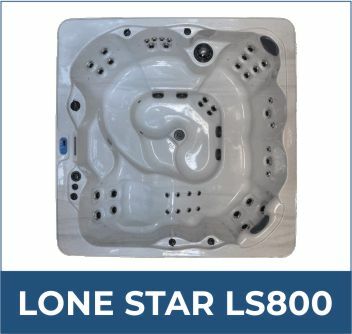 25 jet, 350 gallon spa with room for 5. Click for more information. 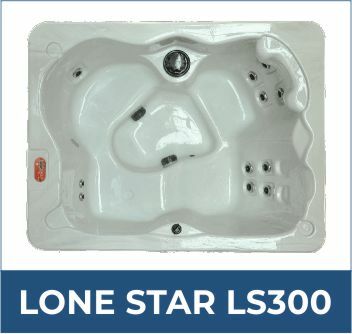 One of the only circular spa options from Lone Star, this 300 gallon, 20 jet tub comfortably seats 5. Click for more information. 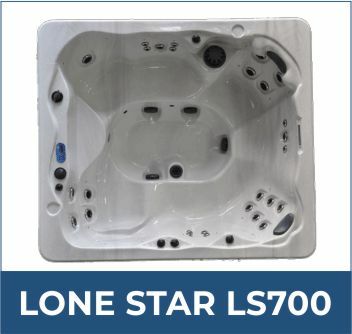 A large, 25 jet, 425 gallon option from Lone Star that seats a party of 7. Click for more information. 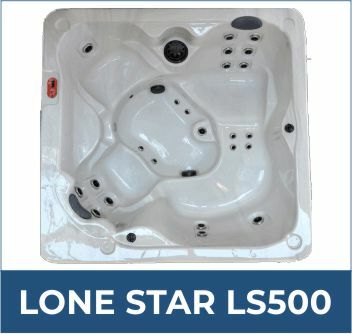 Lone Star’s largest option, the LS800 holds 500 gallons and blasts 25 jets into a party of up to 8. Click for more information.